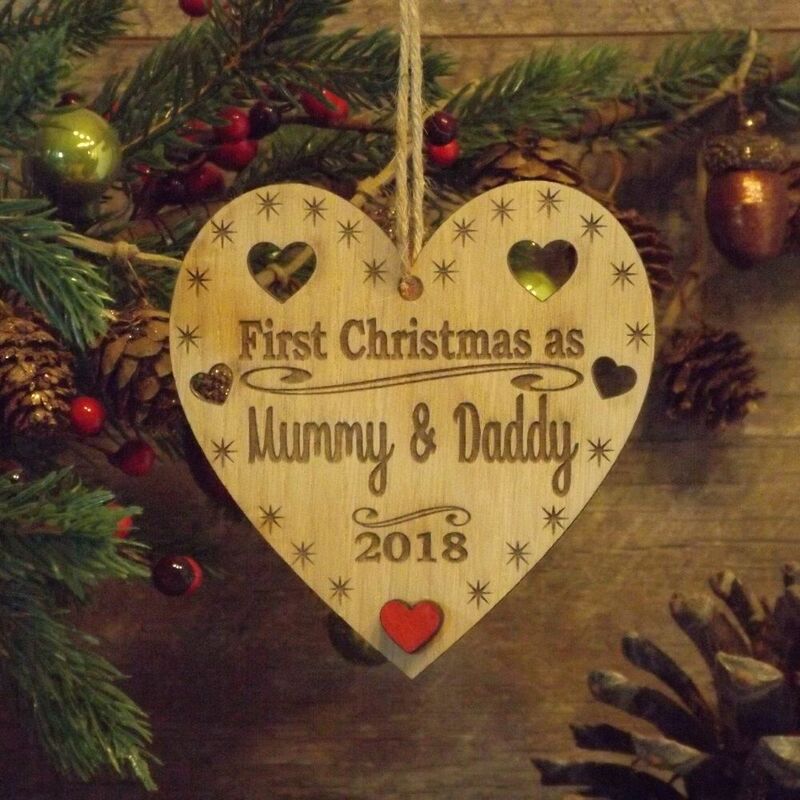 The perfect gift and memento to celebrate a 1st Christmas as Mummy & Daddy! 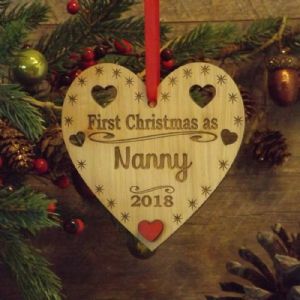 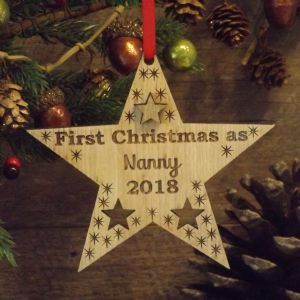 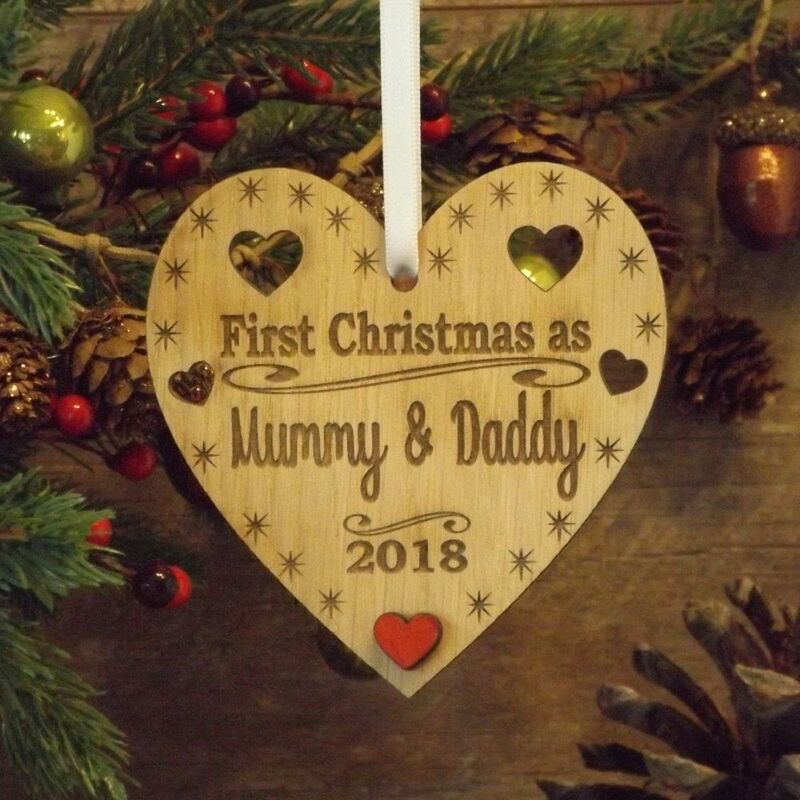 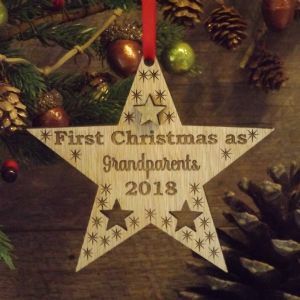 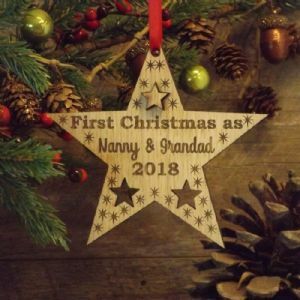 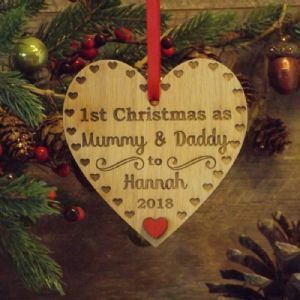 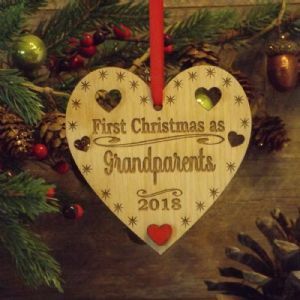 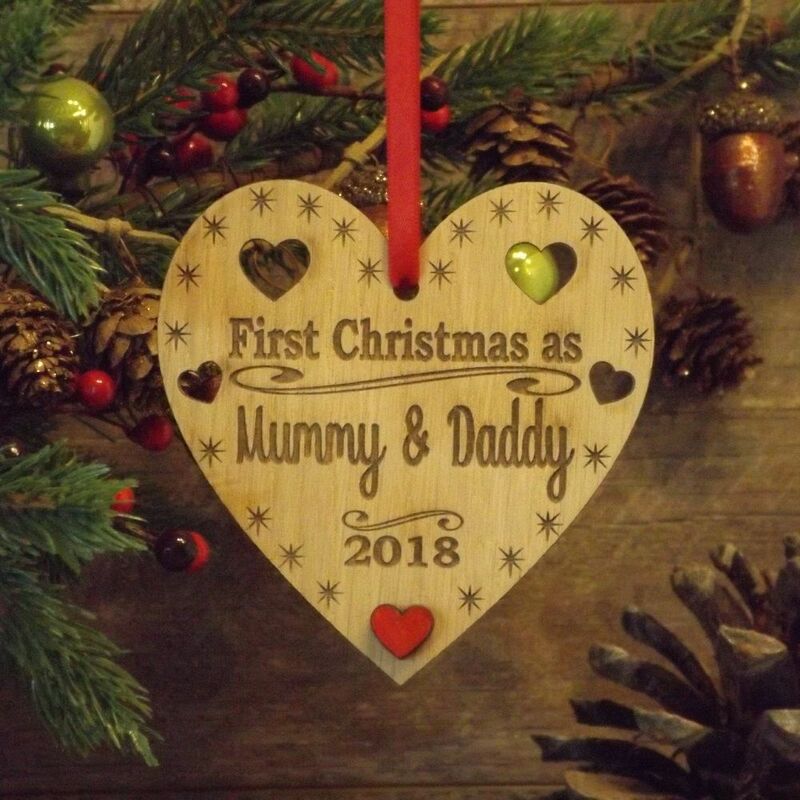 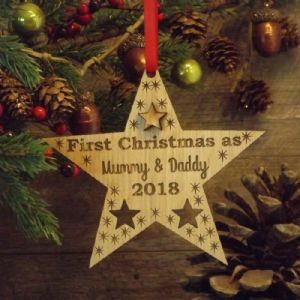 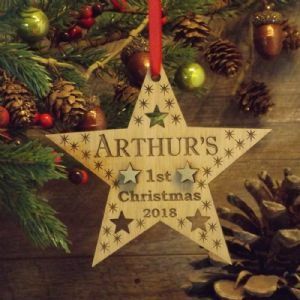 Our beautiful rustic wooden heart decoration features the wording 'First Christmas as Mummy & Daddy' and can be personalised with the year of the first Christmas. 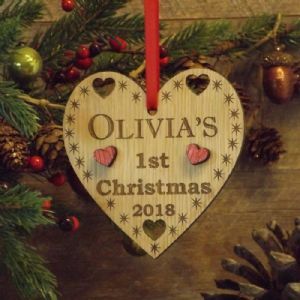 Made from oak veneered wood the heart features a pretty design with four cut-out hearts and one raised handpainted red heart embellishment. Strung on your choice of either a silky red or white ribbon or a natural jute twine, so it is ready for hanging on the Christmas tree or around the home. 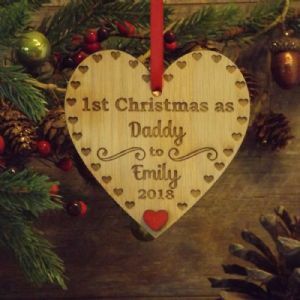 This lasting keepsake is sure to be a favourite and can be brought out and displayed every Christmas!